One of my New Year’s resolutions this year was to “Be more creative,” which I admit is rather vague and subjective for a resolution. That said, my plan is to be very deliberate and objective in pursuing that goal for 2016. The first concrete step toward that goal is a new monthly article series I will be writing for InnRoads Ministries entitled Cyclopaedia. What is a Cyclopaedia? It is an archaic term for an encyclopedia which Wikipedia states “is a type of reference work or compendium holding a comprehensive summary of information from either all branches of knowledge or a particular branch of knowledge.” Cyclopaedia will be a monthly article that delves deeply into sources for a particular topic helping prospective game masters, game designers, writers, and storytellers to know where to start their research. How did Cyclopaedia come to exist? I will be honest, I had not been looking for any further blogging opportunities beyond this blog nor had I been seeking writing opportunities beyond my freelance work. So what was the genesis of this new article series? There are two components to its beginning. First and foremost has been a growing friendship with Mike Perna of InnRoads Ministries. As I mentioned earlier in my reflections on 2015, we finally met face-to-face at Gen Con 2015, and since then have kept a running dialogue through email and social media. When he put out a call for writers for the InnRoads website, I heard that creative voice in my head whispering to me to submit a couple of proposals. What to propose? What would I enjoy writing? This is where the second component comes into play. One of my favorite elements of the Achtung! 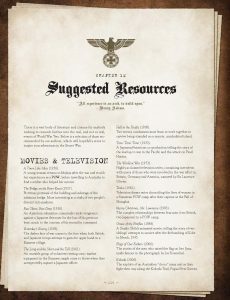 Cthulhu books I have been working on is the “Suggested Resources” found at the back of the books, full of amazing WW2 and Cthulhu resources related to the current book’s theme. As a GM/DM/Storyteller, I love doing extensive research for my campaigns and adventures. I thought perhaps I could share my passion for research in a manner similar to these “Suggested Resources.” I approached Lynne Hardy (creator of those “Suggested Resources”), who loved the idea and encouraged me to pursue my own version of them. Thus, I proposed a monthly article series of in depth gaming/storytelling related information for InnRoads. Mike loved the idea and after a few emails back and forth, the article series had a format and a name, Cyclopaedia, a monthly blog post and downloadable PDF focused on a particular theme. As of this past Saturday, the first full monthly article has been posted. This will be an ongoing series posted the 1st Saturday of each month. Doing the research and writing the first article was so exciting. I really enjoyed the process and have already begun drafting some potential future articles. I am interested in hearing from you and readers of the article series regarding topics that would interest you. 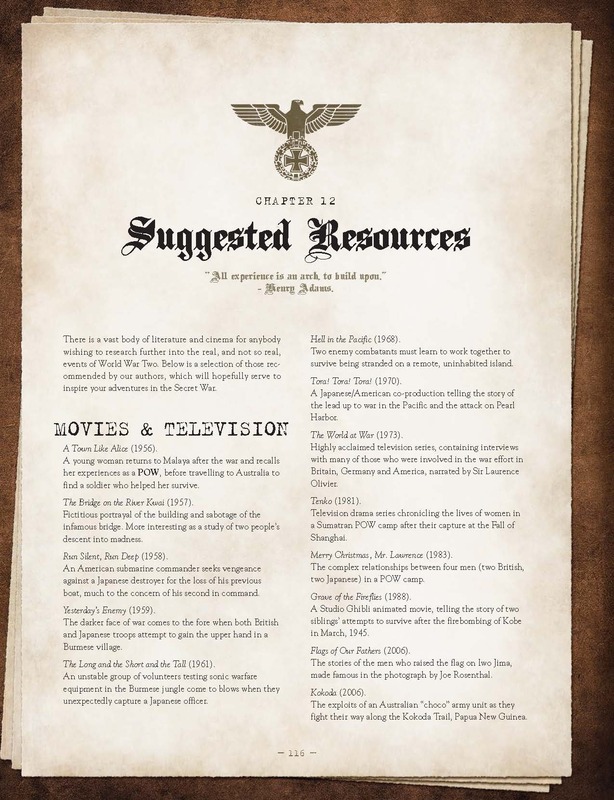 What theme or genre would you be interested in seeing researched in depth? I am open to ideas.